I moved to Pittsburgh shortly before I married my fiance who was based here for work. I quit my consulting job in New York and I couldn’t find anything in Pittsburgh that was even remotely close to what I used to do. I was always a coffee enthusiast but opening a coffee shop was only ever a cubicle daydream. But Pittsburgh, with its less crowded coffee market and generally lower costs of business, turned out to be a city where I could actually venture out and pursue a completely different path than the one I had been on. So, I figured I’d give it a shot. From day one we wanted to be known for quality, not only in our selection of roasters but more importantly in how we actually brew their product. 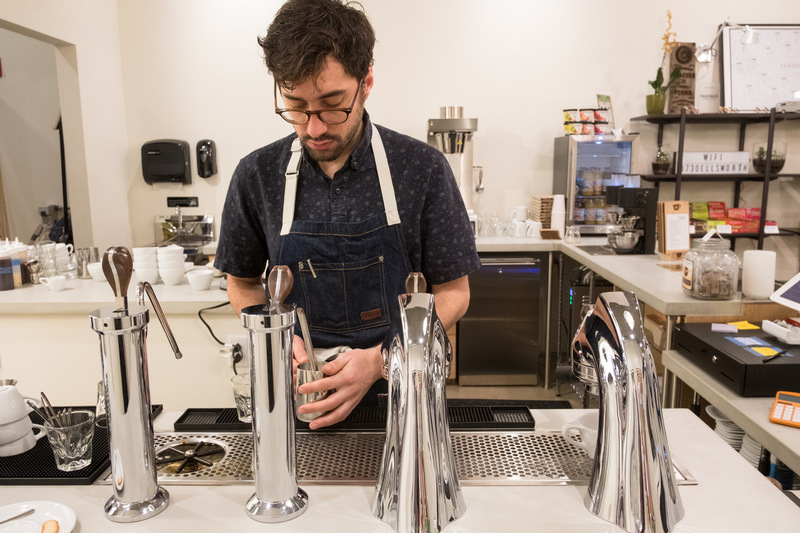 We’re firmly in “specialty coffee” for lack of a better term. I think our choice of equipment clearly identifies us as being that kind of shop. From day one we wanted to be known for quality, not only in our selection of roasters but more importantly in how we actually brew their product. We’ve strived to remain as local as possible in terms of selecting coffee for the program. 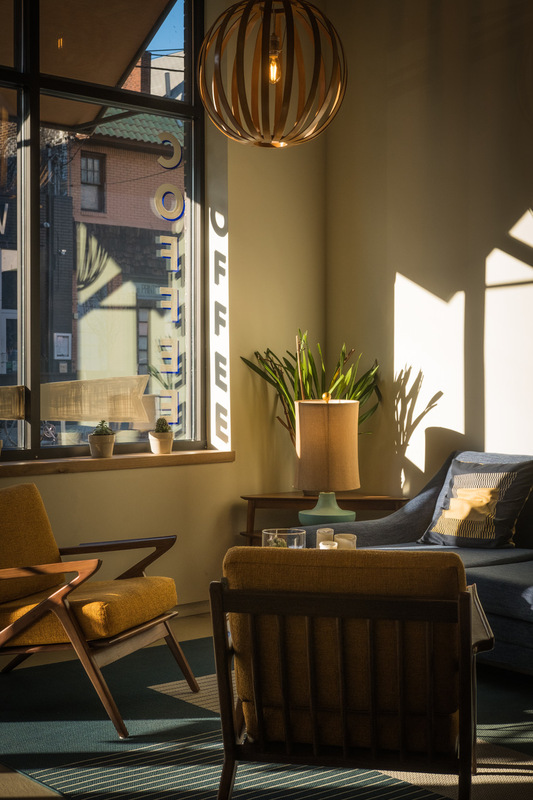 We’ve used Pittsburgh-based Commonplace Coffee and Lancaster-based Passenger Coffee from the very beginning and most recently we’ve also put West Chester-based roaster Maquina on board. 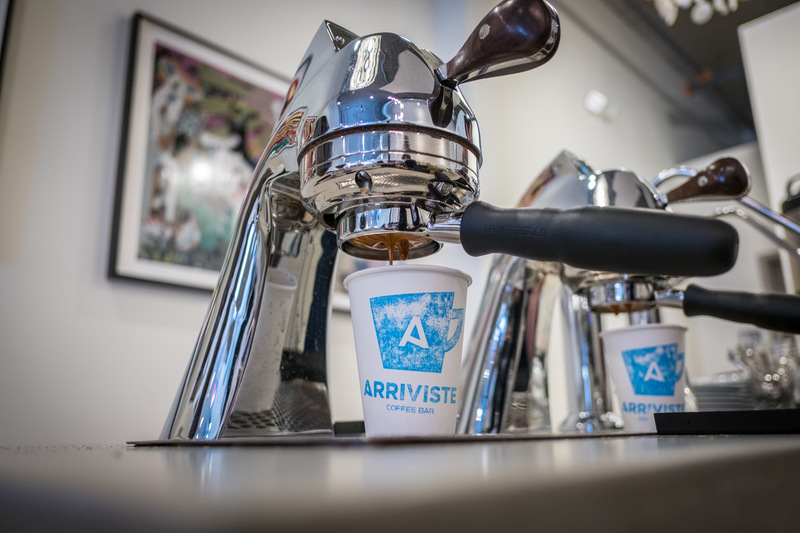 We’ve gone as far as New York City a few times and are now exploring other roasters in the South and Midwest. 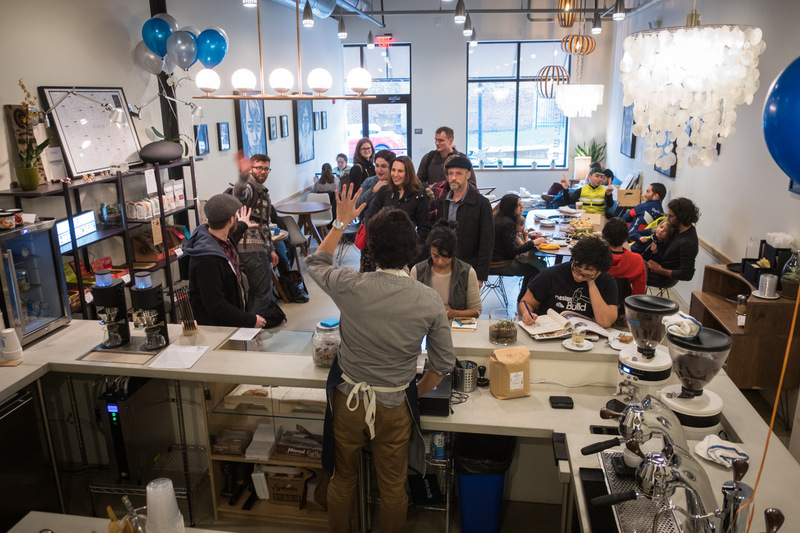 We’re doing this to really highlight the fact that Pennsylvania has a great coffee scene and that the East Coast even more broadly can stand toe-to-toe with the West Coast coffee-wise. The last piece of our identity is our goal to provide a much more refined coffee shop experience than what most people are probably used to. We provide this experience by paying attention to the small details that other shops often overlook. 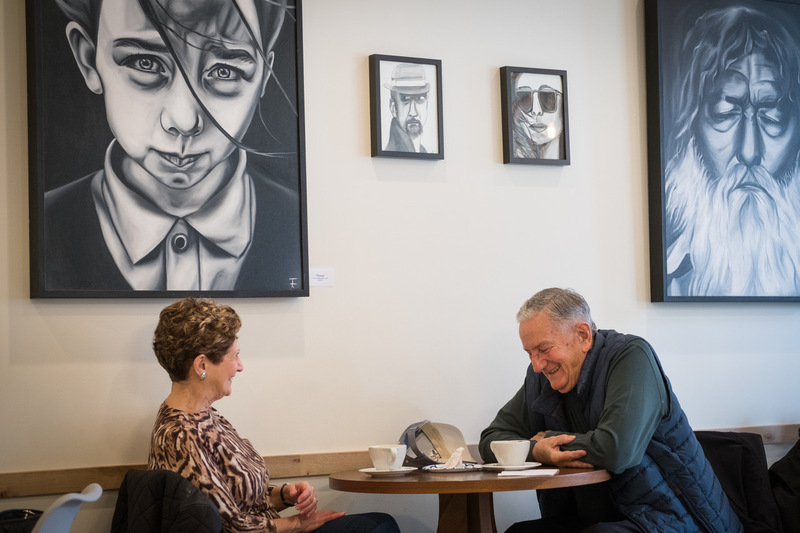 Every facet of our coffee service has been carefully considered, from the ceramics to the furniture to the lighting, and even the music—all to make our guests feel that our shop is just a little bit more special. 3) Describe the location/demographics of the area where you opened. why did you choose this area? 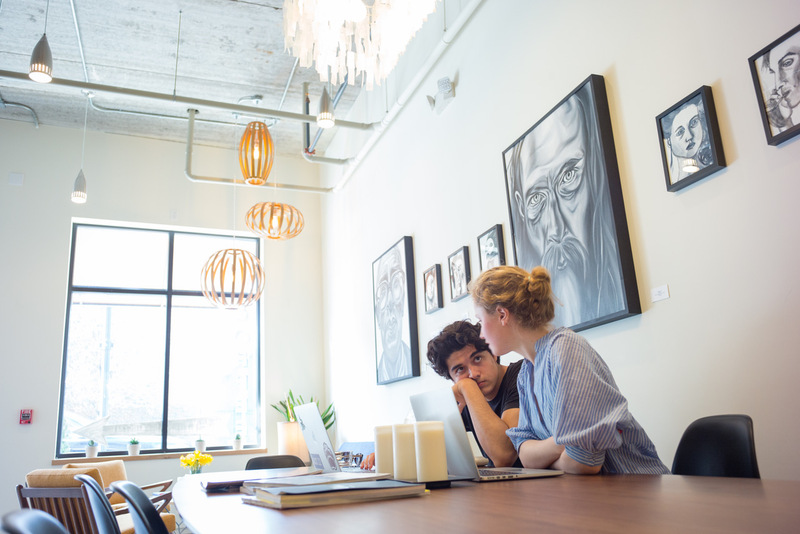 The shop is located in the Shadyside neighborhood of Pittsburgh. It is primarily residential and the shop is on one of the two Shadyside high streets. 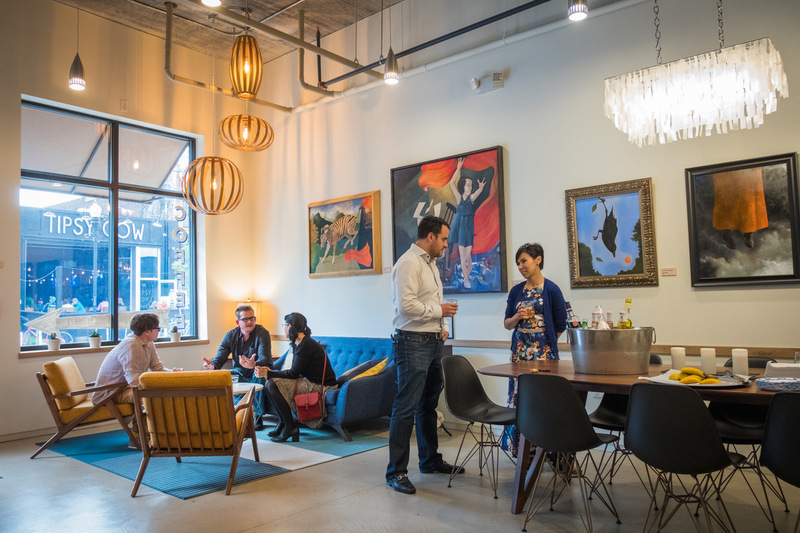 Shadyside itself is made up of both long-time residents as well as a constantly shifting population of college undergrads, recent graduates, and graduate students (Carnegie Mellon University and the University of Pittsburgh are close by). I chose Shadyside because age-wise it does skew younger due to the high percentage of students. I also wanted to have a neighborhood shop versus say a downtown shop or a place where tourists go. Lastly, Shadyside does not have a high number of specialty coffee shops to begin with so I felt that there was an unmet need that I could fulfill. I chose Shadyside because age-wise it does skew younger due to the high percentage of students. I also wanted to have a neighborhood shop versus say a downtown shop or a place where tourists go. 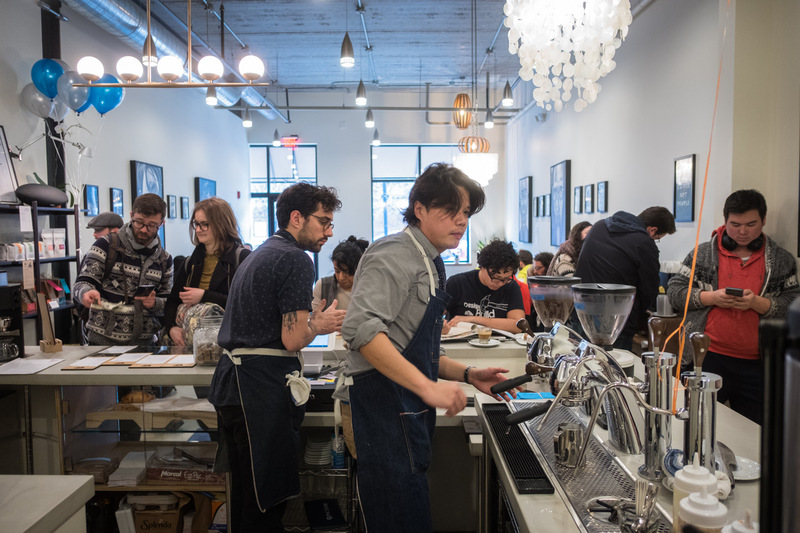 For Espresso: We have a Modbar, of course, which we chose primarily for aesthetic purposes and its ability to really open up the counter to customer interaction. The ability to have highly customized brewing profiles has been a great feature that has allowed us to use a really wide variety of coffees—a lot of which would probably not be workable at all on a traditional espresso machine. For Drip and Pour-overs: For pour-overs we decided to go with a Marco SP9. We wanted to semi-automate pour-overs to free up baristas to do other tasks while the SP9 brews. It also really does make great and very consistent coffee once you’ve figured out your recipe. It is probably the most affordable pour-over system on the market and really looks great on the counter (the boiler is underneath the counter and we use two fonts that are the only exposed pieces of the system). We also use a Marco Jet brewer for batch brew. It looks a lot sleeker than other batch brewers (e.g. Fetco/Bunn/Curtis), has the largest spray head, and has great temp stability. Guests see the bar directly in front of them as they come in so knowing where to order is not confusing. The bar itself is square-shaped with the POS front and center, the Modbar to the left (from the guest’s perspective), the SP9 to the right, the Marco Jet to the right and back, and a center island for prep space and tea-making. Everything needed for espresso service is on the Modbar side and everything for filter service is on the SP9 side so two baristas can work exclusively on either kind of coffee order and not get in each other’s way. 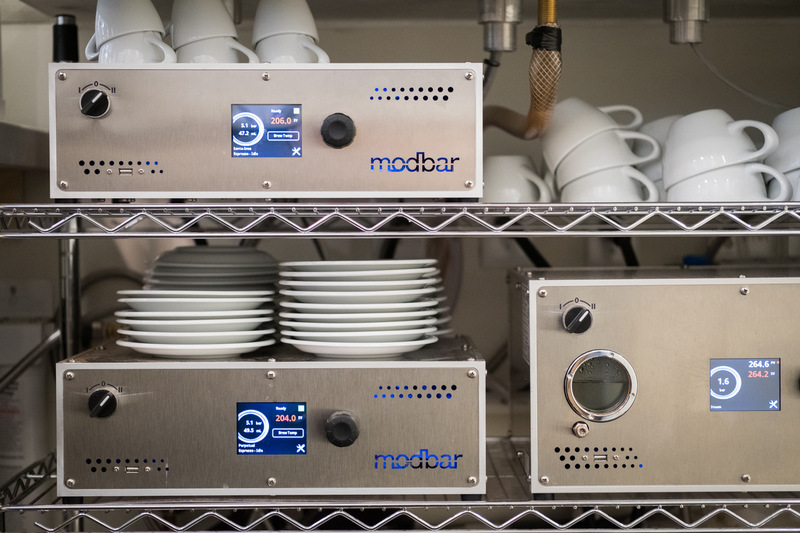 In keeping with the configuration of the Modbar and SP9, we’ve also installed under-counter refrigeration to the extent that we can. Everything needed for espresso service is on the Modbar side and everything for filter service is on the SP9 side so two baristas can work exclusively on either kind of coffee order and not get in each other’s way. caring about our craft and going to great lengths to produce a good cup of coffee doesn’t need to come at the expense being nice to customers! Interested in connecting with the Arriviste team to dig a little deeper?